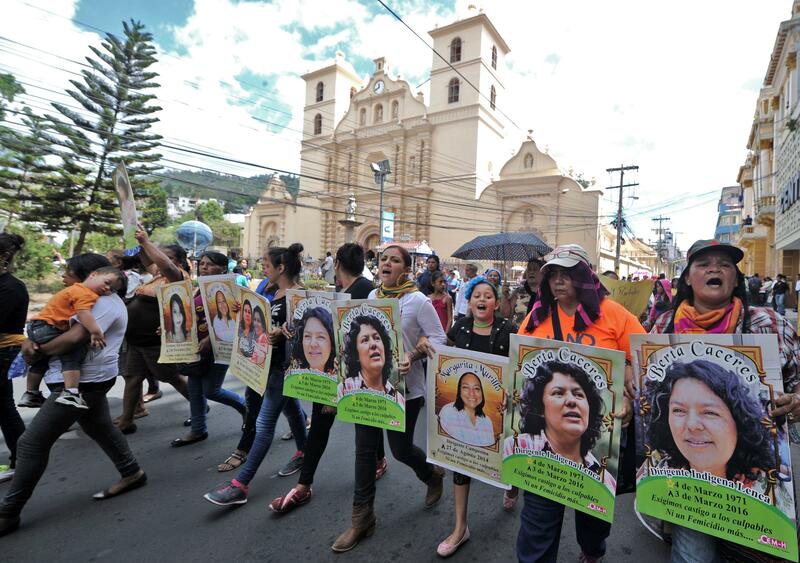 The family of slain Honduran activist Berta Cáceres was slated to arrive in Washington on Sunday to pressure U.S. officials for a rigorous investigation into her murder. Cáceres’ daughter and nephew said they planned to meet this week with U.S. lawmakers and Obama administration officials to voice concerns about the Honduran government’s inquiry into the March 3 killing. The prominent indigenous and environmental rights campaigner was shot in her home in western Honduras just days after receiving death threats for opposing a hydroelectric project. Cáceres, who was 44, is one of several Central American activists to be killed in recent weeks. Nelson García, a member of Cáceres' civic group, was shot in the face March 16 as he returned to his family home in northwest Honduras. Guatemalan activist Walter Méndez, who fought deforestation in the country's northern rainforest region, was found dead last week after receiving threats from illegal land occupiers. Their deaths come amid an escalating wave of repression against opponents of large industrial and infrastructure projects in the region, including developments with financial backing from U.S. and international banks and organizations. Cáceres had led a decade-long fight against the construction of the Agua Zarca Dam along the Gualcarque River, which is central to the livelihood of the indigenous Lenca people. Her organization, the National Council of Popular and Indigenous Organizations (COPINH) in Honduras, said the dam project was started without consulting the indigenous groups, as required under international law. 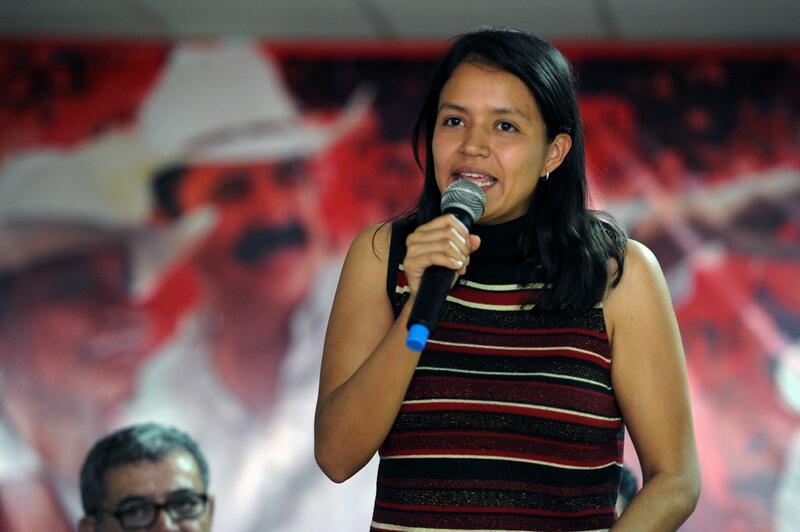 Cáceres' daughter, Laura Zuniga Cáceres, and nephew Silvio Carrillo said they planned to meet on Capitol Hill this week with several U.S. congressmen and Senate staffers and would seek meetings with the White House and U.S. State Department. Carrillo said early Sunday he was still confirming the trip details. The activist's family said they worried the Honduran-led investigation into Cáceres' death would be insufficient. 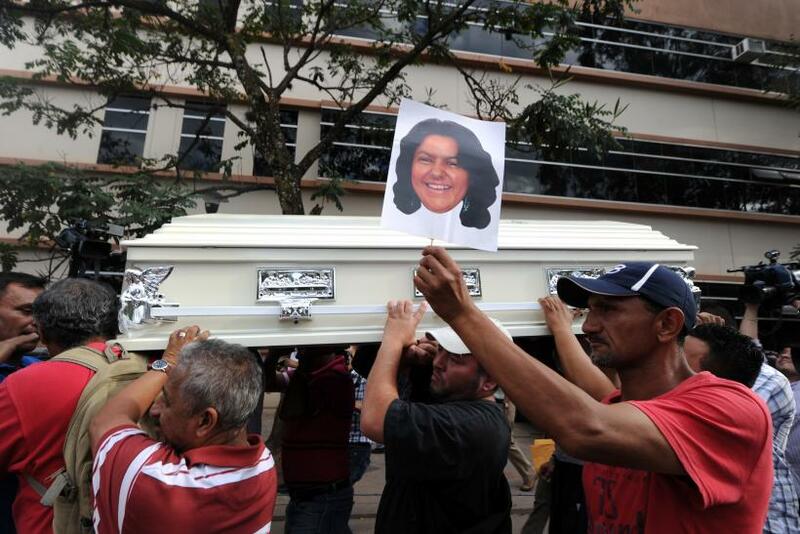 Since a 2009 coup in Honduras, critics of the government — including journalists, labor leaders, human rights activists and environmentalists — have been assassinated in targeted killings, with many murders going unsolved, the New York Times reported. More than 100 environmental defenders were killed in Honduras between 2002 and 2014, the research group Global Witness counted, which makes Honduras one of the world's most dangerous nations for activists protecting forests and rivers. Some victims were shot by police officers during protests, while others were allegedly shot down by hired gunmen. "The business interests don't care if you're moving people off their land and creating obstacles for them to have a life," said Carrillo, who lives in Oakland, California. He said the last time he spoke with Cáceres was in April, after she won the 2015 Goldman Environmental Prize for her grassroots efforts to stop the Agua Zarca Dam project. "She was doing this amazing work, and being recognized internationally, and that was the problem," Carrillo said. "She was becoming a person, a hero, that people looked up to." Cáceres' group COPINH had maintained a blockade to prevent access to the dam site for more than a year. In July 2013, a Honduran soldier fatally shot Tomás García, another leader of the group, during a peaceful protest. After the killing, the Chinese company Sinohydro, which had a contract to build the dam, withdrew from the project. But the Honduran partner in the venture, Desarrollos Energéticos S.A., continued the project, with support from Honduran officials and prominent business leaders. Honduran officials said there are no immediate suspects in Cáceres' killing. Police have said they are investigating the murder as a botched robbery, but her family and supporters said they believe Cáceres was targeted. The Honduran attorney general's office has refused to allow the sole witness to Cáceres' muder to leave the country and return to his native Mexico. Gustavo Castro Soto, a coordinator for Friends of the Earth Mexico, was shot twice during the March 3 attack and only survived by playing dead, the Guardian reported. 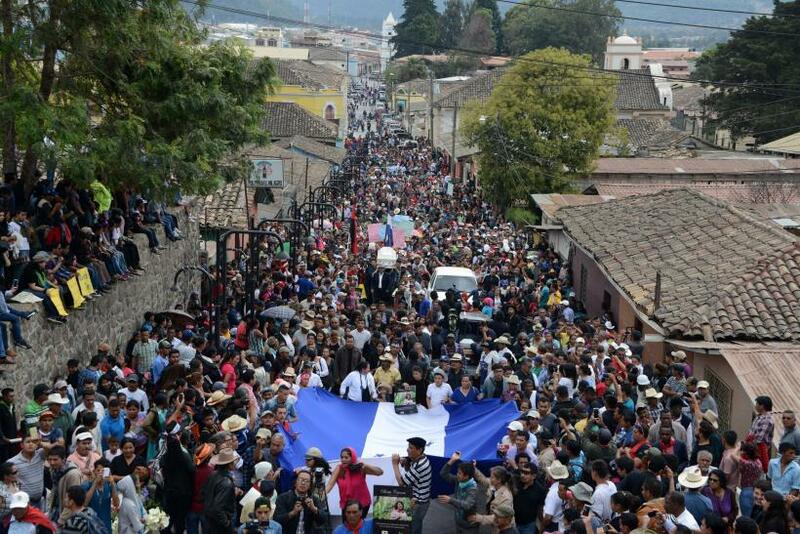 The Inter-American Commission for Human Rights had urged Honduran leaders to take safety measures to protect COPINH activists, which the government didn't do. García, the other slain member of the group, was killed only days after the request. James Nealon, the U.S. ambassador to Honduras, said he would urge Honduran President Juan Orlando Hérnandez and security officials to conduct a thorough investigation. "I'll let them know that all the resources of the Embassy are available so this investigation is carried out," Nealon told Cáceres' children earlier this month, the Honduran newspaper El Heraldo reported. Carrillo said he hoped the visit in Washington this week would heighten pressure on U.S. officials to push for a third-party investigation. "The Honduran government says they're handling it — but they were the ones that were supposed to be protecting her in the first place," he said. The family has already rallied some support from Capitol Hill. Last week, U.S. Reps Hank Johnson, D-Georgia, and Keith Ellison, D-Minnesota, plus 60 other representatives sent a letter to U.S. Secretary of State John Kerry and Treasury Secretary Jack Lew requesting support for an independent, international investigation into the murder of Cáceres. The letter also criticized ongoing U.S. support for Honduran security forces. The Obama administration said in January it plans to provide up to $750 million to support security and economic development programs across Honduras, Guatemala and El Salvador. "We write to urge you to act expeditiously to address appalling levels of violence and extreme violations of civil rights in Honduras," the U.S. lawmakers said in the March 16 letter to Kerry and Lew.